Images above are not real. Provided for dramatic affect. Your results may vary. The use of these Commercial Smoke Eaters, or any other air cleaner, to remove tobacco smoke from your business will NOT eliminate the risks of allowing smoking in your business and working in a smoking environment. While you can expect a big improvement in the quality of the air in your business and a significant reduction of the smoke and odors, nothing is instant or perfect. Nothing will completely eliminate the risks of allowing smoking in your business. The best way to minimize your health risks are to not allow smoking at all or have the smokers go outside. Having stated the obvious...and gotten that disclaimer out of the way, let's get down to business. And I do mean friend. I'm going to tell you exactly what I would tell my best friend if he owned a bar, restaurant or any other business that allowed smoking. No hype, no BS - just the facts that will hopefully help you make the RIGHT decision about which of our products you should get and how many of them you need. I really don't care if you buy my systems. My first goal is to give you the facts so you can make your own choice. No high pressure sales tactics here. In the end, you'll either agree with my approach or not. Either way we part as friends who had a good exchange of information. I hope I can impress on you just how important this decision really is. You are dealing with the health of your body and the health of your business. Clearly - two things we can't afford to mess around with. Your clothes and hair smell like smoke at the end of the night. The first thing you have to do when you get home is shower to get the smoke smell off of you. Your voice is raspy like a long time smoker's voice. Your staff always complains about the smoke. There is a constant haze in the air that you can see at all times. Even the smokers complain about it. Customers leave and never come back. People refer to your place as "too smoky". You hear rumors that non-smoking customers won't even come into your business. You know you're losing money, but aren't sure what to do about it. You've had smoke eaters before and they never quite worked the way you thought they should. Maintaining your smoke eaters has always been a huge hassle so you do it less than you should. 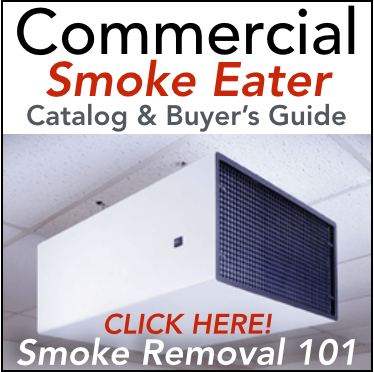 Buying your Commercial Smoke Eater. Mistake #1: Ignoring the Smoke Problem and Doing Nothing at All. You know the old saying. "Ignore something long enough and it will go away." Do you really want to ignore your health and your business and see if it goes away? Nope, I wouldn't either. In many cases, ignoring the problem is why so many states and cities have taken matters into their control with smoking bans. Let's prove them wrong. Let's prove that you can still have clean air AND allow smoking. Mistake #2: Selecting the Wrong Technology. Despite there being dozens of brands on the market - there's really just two types of smoke eaters. These are the type that use ionizers to supercharge the smoke particles and collection cells to attract and capture the smoke particles. Some also utilize a pre-filter and a carbon filter to assist in the smoke removal process. The carbon is intended to remove the smoke odors, gases and fumes. For years - the industry has sold this technology on the argument of "NO FILTERS TO BUY". The problem with this logic is that if there truly are no filters - the smoke eaters won't do a damn thing about the odors. If they DO use carbon filters - the argument of no filters to buy is out the window. A couple other problems with this approach: Messy and time consuming cleanup, expensive parts list with many things to break, poor performance once the collection cells get a layer of smoke on them, zapping and popping noises (you've heard them before. Who wants the sound of a bug zapper in their business? Not me) Let's not forget that you still need to buy filters. And these carbon filters are as expensive as our complete set of passive filters. Lastly, have you seen some of the pricing on some of the bigger brands? $2,500, $2,800 and even $3,300 per machine? That's nuts and you shouldn't have to spend that much. Our systems range between $1,495 and $2,095 each with free shipping and a year's worth of filters INCLUDED. Annual filter costs are $330 per machine or just $27.50 a month. That's $0.90 cents a day. CHEAP. Passive filters are the "technology" behind our SRS series of smoke eaters and definitely what you should get for your business. Look, I know filters are nothing fancy. There's no technological wizardry here. Simple passive filtration is all that you need to get the job done. Seriously. All you need are filters capable of removing the smoke and enough fan power to keep up with your level of smoke. It doesn't need to be any more complicated than that. We use a pre-filter(changed monthly) to take the heavy hit. Next in line is the carbon filter (changed every two months) to remove gases, fumes and odors. At the exit louver of the machine is the HEPA filter (changed annually) for removing the ultra fine smoke particles. The benefits of this approach are staggering. Easy to maintain, less expensive, less moving parts or electronics to break, no zapping or popping, no harsh chemicals, no messy clean up jobs, 10 year warranty, they'll work as good 10 years from now as they do brand new. All you have to do is keep changing the filters. Mistake #3: Not investing in enough power. This should be a no brainer - but people constantly make this mistake. I'll recommend two smoke removal machines and they say "I'm going to start with one and see how it goes." UGH! Here's what happens... You still end up with a smoky business. It's like hearing that you need 15 tons of Air Conditioning, buying a 7.5 ton system. 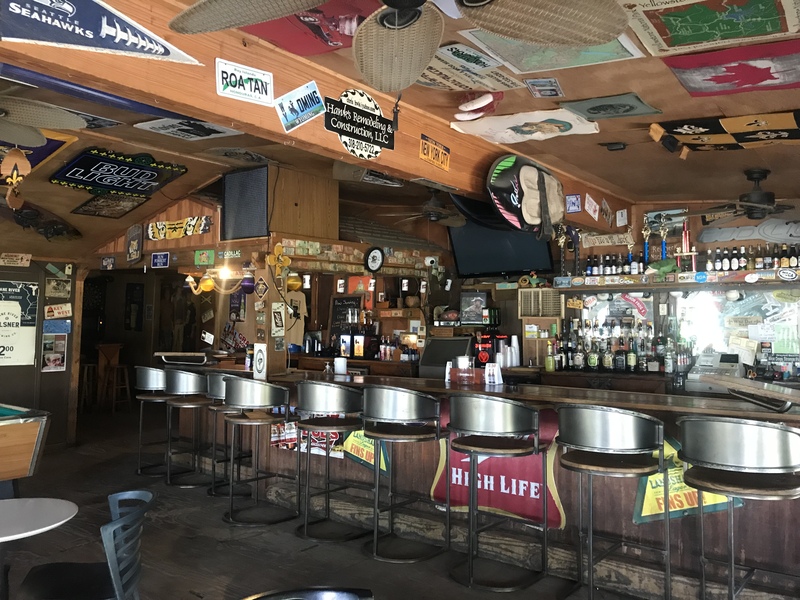 You have no right to complain that it's still hot in the bar during the summer. If you need TWO smoke eaters, there's NO WAY to properly evaluate the performance of the equipment if you just get ONE. You are setting yourself up for failure and being unhappy. Here's what else happens if you get one instead of two. One machine is expected to do the work of two. Your filters get dirty twice as fast and you end up with lousy performance and increased maintenance. You never get around to buying the second machine that you needed in the first place because your first impression is that "These things don't work." Don't fall into this way of thinking. We both know it's the wrong way to go. Look, anything you add will provide some benefit. But there is definitely a tipping point between not having enough power to getting the job done correctly. You need enough CFM or fan power to filter the air 8, 10, 12 or more times per hour. Moderate smoke levels require: Minimum of 8 Air filtrations per hour. Bad smoke levels need: 10 air filtrations per hour. REALLY Bad smoke levels: 12 or more air filtrations per hour are needed. The calculations really aren't that complex and we can do it for you if you fill out our sizing and quote request form. Get your Free Quote here. Mistake #4: Taking advice from someone who knows NOTHING about air quality. 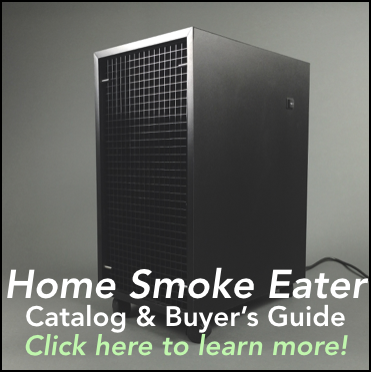 Just because your HVAC guy or your restaurant supply guy has a catalog of products in their truck that just happens to have smoke eaters on page 187, it doesn't mean they know what they're doing. I'm a certified indoor air quality specialist and I've been serving this smoke removal market full time for the past 8 years. Please don't put the future of your business, your health and your hard earned dollars in the hands of "someone with a catalog". Hire a smoke removal expert who can stand behind their solution. Ask for credentials in air quality and smoke removal. Our three-stage filtration systems. We offer 7 different models in varying sizes and fan speeds to accommodate every situation, ceiling height and ceiling type. Whether you have a drop ceiling, solid sheet rock ceiling or open exposed beams - we've got the right smoke eater for the job. Box style for exposed operation. Flush Mount Smoke Eaters for concealed operation. Great for those with drop ceilings and at least 13" of clearance above the ceiling tiles. 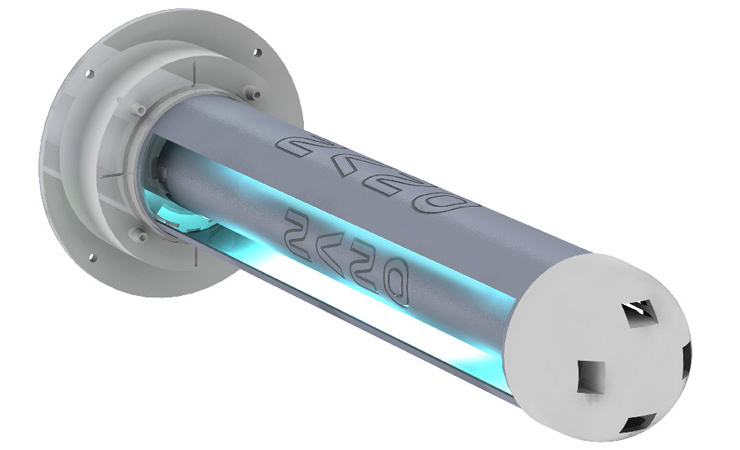 This is an UltraViolet Light Air Purifier that installs into your central ventilation system. This works primarily on the gases, fumes and odors from the smoke. Our SRS Series Filtration based smoke eaters will do a great job on the clouds of smoke and odors. However, by adding this inexpensive component into the ductwork of your central heating and cooling system, you create an integrated system. My analogy: Your car looks good after you wash it. It looks great after you wax it. Filtration machines are the "wash" and they get 90% of the job done. The UV systems are the "wax" and really finish the job making your air quality "shine". By combining both technologies - you truly get the ultimate in air quality for your business. It really makes a dramatic difference in your air quality. Volume discounts for more than one machine. 90 Day 100% money back guarantee - no restocking fees. No messy and time consuming cleanup process. 5 Minutes per smoke eater to change the filters. No sticky collection cells to clean. No nasty chemicals to use. No ZAPPING or POPPING noises like the Electronic Smoke Eaters. Simple technology for a complex problem. No laundry list of costly electronic replacement parts. Just $0.90 cents a day in ongoing filter costs. Capable of running 24 hours a day for the optimal in clean air. Can be combined with our Ultraviolet purification systems for ultra protection against odors. Your customers will appreciate the improved air quality and may spend more time and money in your business. Your staff may thank you. Expert help in getting a smoke eater solution "guaranteed to get the job done". Check out the rest of this website. I've got videos, customer feedback, frequently asked questions, products with pricing and specifications. And be sure to check out my insane guarantee. Get your no pressure recommendation for what equipment you need to solve this nasty smoke problem. Just fill out my quote request form here. Then - check out the market and see if anyone else offers this level of information, education, product warranty and guarantee of satisfaction. You won't find anyone else backing their smoke eaters like I do. So, watch the videos, read the customer feedback and Frequently asked questions. Check out our products and get your quote today. If you have any questions at all, give me a call. I'd love to talk to you. To the health of your business and your body.